Just like France, Spain has experienced a true tramway revival in recent years, although due to the economic crisis, many projects have not been completed or not even started. 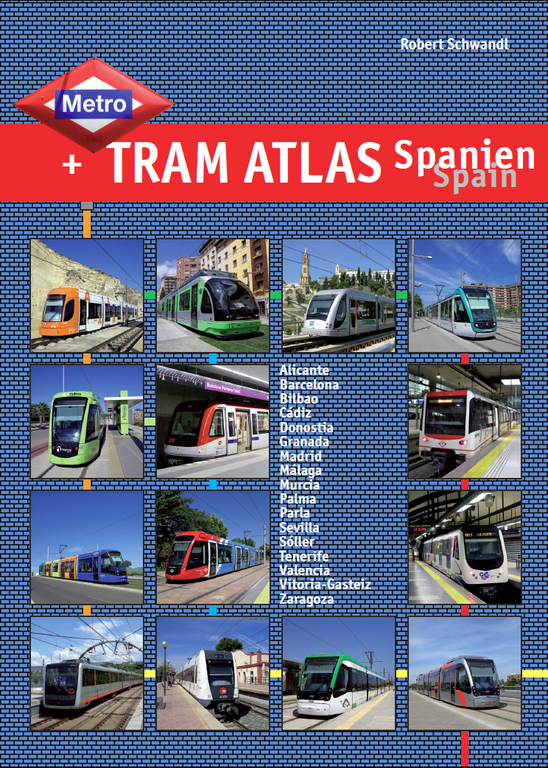 This book gives an overview of all the metro and tram systems, from the classic metros in Madrid and Barcelona to the new light rail systems in Málaga and Granada. The book is illustrated with detailed network maps, hundreds of colour photographs of all the current rolling stock and numerous metro stations.